diet funda: Tricks to make your food yummy as well as healthy! Tricks to make your food yummy as well as healthy! Healthy Substitutes- Tricks to make your food yummy as well as healthy! Loved working in laboratories during school days?? Enjoyed experimenting with chemicals when teachers were not around?? Now, try to make your kitchen, your laboratory! 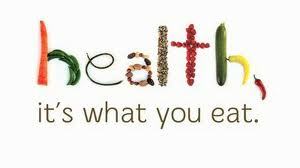 Replace unhealthy food products with similar tasting healthier ones. I can only suggest with a few options; it’s your innovation time now. Reasons why people don't lose weight easily!